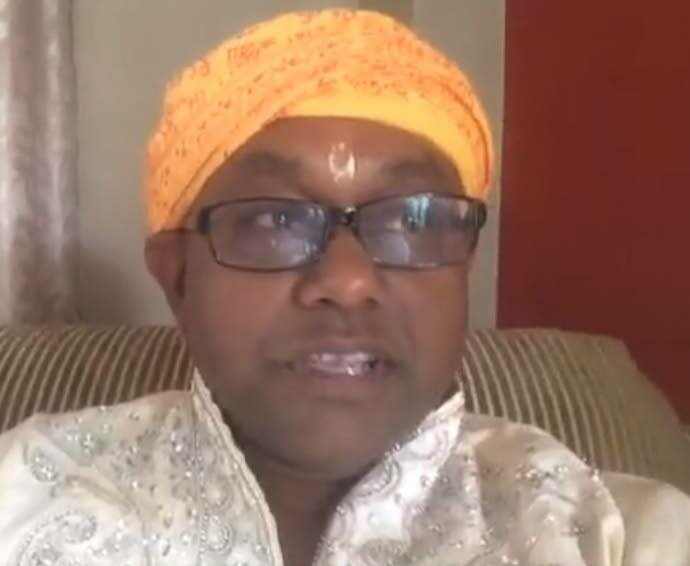 THE pundit who organised the “sari protest” outside the Office of the Prime Minister (OPM) on Thursday, is “unreservedly” thanking the Prime Minister for his unconditional apology for the controversial skit which featured two men dressed as gorillas disrobing a woman dressed in a yellow sari at the PNM’s sports and family day in Chaguanas one week ago. The skit drew swift condemnation from the Hindu community including Opposition Leader Kamla Persad-Bissessar and women’s groups. On Saturday evening at a PNM political meeting at the Malabar Community Centre, Rowley told supporters: “Tonight on behalf of the People’s National Movement and all concerned, I unreservedly apologise to the Hindu community. Dr Rowley explained to the gathering that he was unaware of the significance of the story which the play resembled — the Hindu epic, the Mahabharata. He said he consulted with Hindu leaders who explained what was happening and decided to apologise. Young, in a statement yesterday, also apologised saying he was unaware of the serious religious connotations the skit had for the Hindu community. Maharaj admitted that he mobilised members of the Hindu community who were incensed about the skit to lead a peaceful protest outside the OPM. Calls to Opposition Leader Kamla Persad-Bissessar for a response to the apology went unanswered. Reply to "‘Sari protest’ organiser thanks PM for apology"